New York City FC to Provide Local Youth with World-Class Training and Resources, Appoints Paul Jeffries to Lead Club's Community Outreach Efforts. 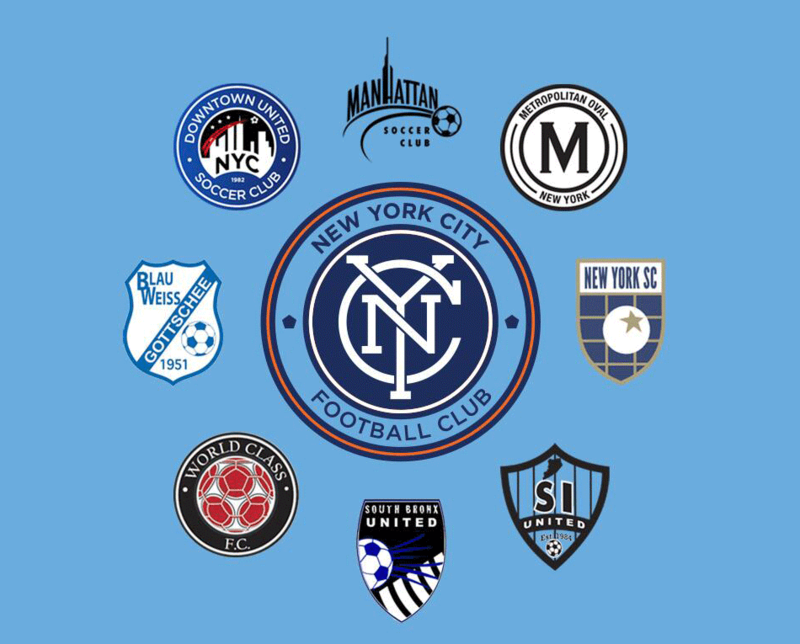 New York City FC announced today that eight youth soccer organizations throughout greater New York City will serve as New York City FC's official affiliate clubs. The affiliations with New York City FC will provide a clear pathway for the local youth soccer community to reach the highest level of competition, providing each with access to the invaluable resources and expertise of Major League Soccer's 20th team. The Club also announced that Paul Jeffries, former director at Downtown United Soccer Club, will be named Director of Community Development. Jeffries will oversee all New York City FC's community engagement efforts, managing the Club's Community Soccer programs including coaching sessions, clinics and camps, as well as New York City FC's ongoing relationship with local youth and adult leagues across the five boroughs. Forming official ties with these youth soccer organizations and appointing Jeffries to lead ongoing engagement efforts stays true to New York City FC's core mission of being committed and connected to the New York City community. Through New York City FC's relationship with sister club Manchester City FC, the eight affiliate clubs will have the opportunity to work with renowned soccer coaches and training staff, providing expertise and resources from both organizations. From community programs, to youth development, scouting, coaching, sports science and first team football operations, the New York City area's youth soccer community will have an unprecedented level of access to world-class soccer expertise. Affiliate club coaches will also have the opportunity to learn at Manchester City Academy, and elite players will have the chance to play alongside some of the world's best up-and-coming talent at Manchester City's new state-of-the-art facility. Each affiliate organization was chosen based on its strong quality of players, dedicated coaching staff and commitment to the New York City community. The selection of these eight clubs marks the first step in New York City FC's ongoing effort to deepen its connection to local youth organizations and to grow the Club's local affiliate network throughout the tri-state area. 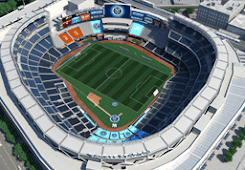 Claudio Reyna, Sporting Director of New York City FC, added, "Through our affiliations with each of these organizations, we will play an integral role in the development of the area's most talented youth. After previously serving as Youth Technical Director for U.S. Soccer, I'm passionate about youth development and know firsthand what a critical role these programs can play in local communities, and in improving and advancing the level of coaching and talent across the country. And with the appointment of Paul, we'll be able to take a comprehensive approach in directly engaging our local communities and youth. We're thrilled to have a veteran like Paul at the helm of our community development efforts." Paul Jeffries commented "I'm honored to join the New York City FC family and lead the Club's efforts to give back to the New York City community. Throughout my time at Downtown United Soccer Club and City Soccer in the Community, I've seen the critical role that soccer can play in improving the lives and opportunities for young people. I look forward to continuing my work, bringing soccer-based development programs to more youth across New York City and helping New York City FC deepen their ties with local communities across the five boroughs." Jeffries, a native of Manchester, England and a former professional soccer player for Oldham Athletic, has always been dedicated to bringing soccer to youth communities, especially those in New York City. Previously, he served as the Executive Director of the City Soccer in the Community program where he ran the day-to-day operations for over 20 City Soccer schools in both New York City and Los Angeles, as well as additional programs in Chicago, Miami, and Washington, DC. During his career, Jeffries also served as the Director of Academy and Recreation for Downtown United Soccer Club in New York City, where he helped build a soccer program that served public schools in low-income neighborhoods, and as Director of Central City Initiative, an organization that provides free soccer training to inner-city youth. Blau Weiss Gottschee: "Today, Blau Weiss Gottschee is one of the nation's largest and most successful clubs thanks in large part to the high level of volunteerism by coaches and parents," said Ben Boehm, Youth Director. "We are honored to now have the professional expertise of New York City FC and their staff, whose resources and instruction on-and-off the pitch will be invaluable to our kids." Downtown United Soccer Club: "Our mission is to educate, train and inspire youth soccer players of all ages and abilities in a positive, respectful, supportive environment," said Tom Frambach, General Manager. "Our affiliation with New York City FC will help us fulfill this mission by fostering a community in which local children can develop a lifelong love for the beautiful game of soccer and realize their full potential as both players and people." Manhattan Soccer Club: "With more than 50 teams at all levels of competition comprised of more than 750 boys and girls aged eight to 18, Manhattan Soccer Club is one of the largest clubs in New York State," said Ray Selvadurai, Director of Coaching. "It is a privilege to align with New York City FC and sister club Manchester City FC. Their guidance on both athletic and personal development will benefit every single one of our participants." Metropolitan Oval: "We're proud to announce our affiliation with New York City FC, an organization that shares our commitment to developing New York area youth in a committed environment," said Jeffrey Saunders, Sporting Director. "The youth who participate at our Center for Excellence, based at New York City's premiere youth development facility, now have a clear pathway to ascend to the highest level of competition." New York Soccer Club: "At New York Soccer Club, we are dedicated to bringing the highest levels of coaching and leadership training to student-players in the Westchester community," said Rossano Polvara, President. "It is a privilege to announce our affiliation with a local professional soccer team and to have access to the world-class talent and resources of both New York City FC and Manchester City, and provide our players with seamless progression to the top levels of the game." South Bronx United: "South Bronx United uses soccer as a tool to enrich the lives of South Bronx and immigrant youth," said Andrew So, Executive Director. "Our affiliation with New York City FC will allow us to fulfill our mission of helping boys and girls build character, teamwork, and leadership so that they can succeed on the soccer field, in the classroom, and in the community. We are thrilled that New York City FC shares these same values." Staten Island United: "It is my distinct pleasure to announce Staten Island United's affiliation with New York City FC, Major League Soccer's 20th expansion team," said Lenny Buccelato, Presidents. "The elite training staff at New York City FC will teach the values that have formed our foundation: positive character, self-worth and physical well-being. We're excited for the opportunity this affiliation provides for our players and coaches." World Class FC: "Our affiliation with New York City FC directly aligns with our goal of providing top quality, comprehensive training and the highest level of development for all of our players," said Kazbek Tambi, Executive Director of Coaching at World Class FC. "With the help of the talented staff and the resources afforded by New York City FC, we are excited at the prospect of pushing technical skill development, tactical knowledge and competitive team play to new heights." This is amazing news. Good for the club, providing a ready fanbase, good for kids who love the sport. All part of nurturing and growing New York's soccer community. Meet & Greet with Reyna and Pernetti! City Makes It Official: It's the Bronx for 2015!